Gravitation is a natural phenomenon by which physical bodies attract each other due to their masses. This force occurs whenever masses are present and the two bodies need not to be in contact with each other. It is however the weakest of the fundamental forces of nature. 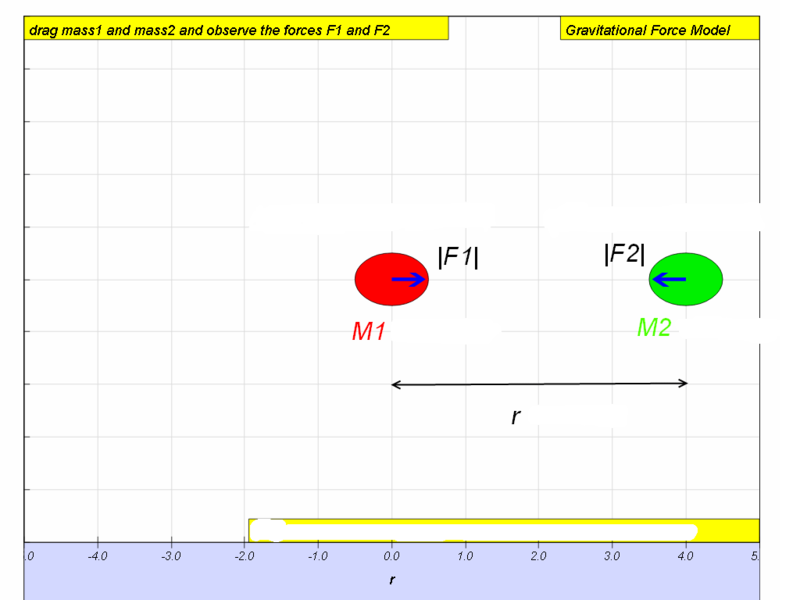 This means that if there are two point masses M and m and they are separated by distance r, the magnitude of the gravitational force attracting them to each other is |F|= G M 1 M 2 r 2 where G, the constant of universal gravitation, is 6 . 67x1 0 - 11 N m 2 k g 2 (will be given in data & formulae list during tests and examinations). 1. r is taken to be the centre to centre distance (i.e. centre of particle to centre of particle). 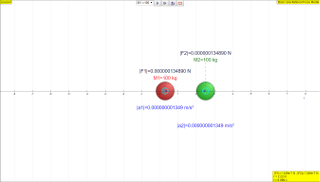 Do not take r to be the radius of orbit! 2. This formula is an example of the inverse square law. What can you conclude about the two forces in the simulation below? Answer: Based on the evidences from the simulation triangulated with real life examples, the mutual force of attraction between any two point masses is directly proportional to the product of their masses and inversely proportional to the square of the separation between their centres.